This week’s Daily Post Weekly Photo Challenge is to show “Nostalgic.” You can see the post here. I thought books, especially old books like this set on our shelf, would work. I thought it would look more nostalgic :). Thanks for the reblog! I will get on wordpress tonight hopefully and acknowledge properly! (At work now typing this on my iPhone). love the books, we had similar ones, actually, my mom still has them. I can see how one would get nostalgic looking on a the books. I remember how my parents and * used to go to my cousin’s house near Niagara Falls in the summer time. I must have been twelve or thirteen. The grownups hung out upstairs while I spent hours downstairs in the basement reading their set of encyclopedias. To this day, I still owe a lot of my trivia knowledge to those evenings reading about tornadoes, the mob and WWII history. 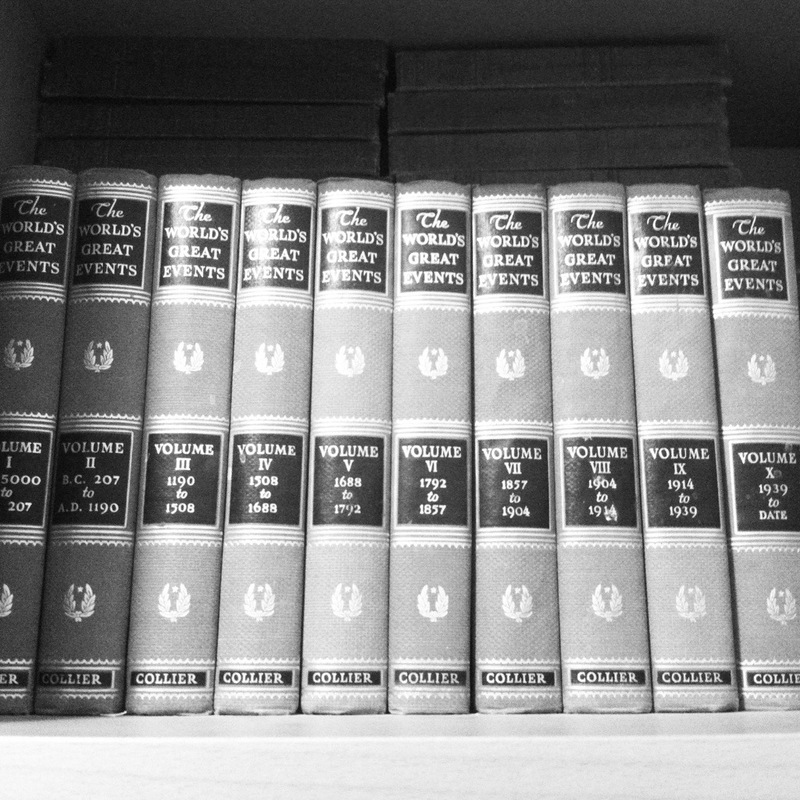 So, yeah, your pic of the encyclopedias is incredibly nostalgic! If I were more together I would upload a picture of the esprit socks I am wearing today. Orange stripes with green boxes filled with each esprit letter. I got them in 1987. Hard to believe I still have them – and that they still look so good. They have gone with me to some really fun places. Feeling so nostalgic. I also wish I had taken a pic of the floral sneakers I saw in the aeropostale last week that look exactly like a pair I had in 1983ish. I guess one runs out of original ideas after so long. Still, it took me back to some fun memories. Your socks sound awesome! I have probably seen them at some point! 1987, wow! That may be a record!